On an unassuming October evening in 1957, a giant landed on Earth. On August 8th, 1999, no one went to see that giant’s story in theaters. 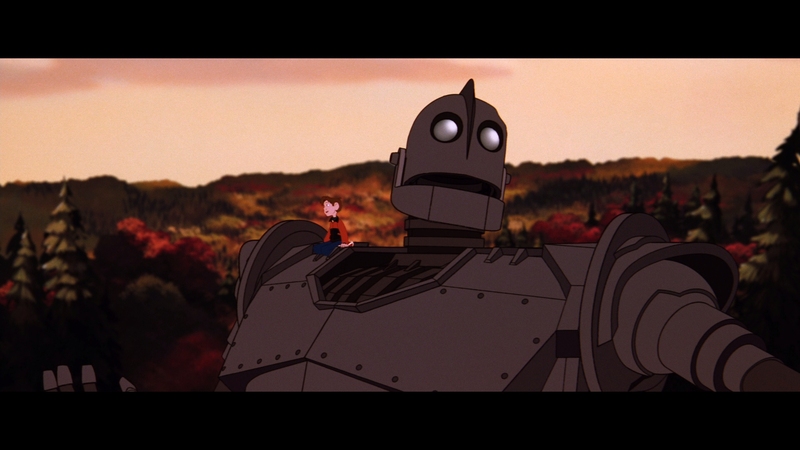 There are box office flops, and there are significant box office tragedies, the latter being Iron Giant’s legacy. 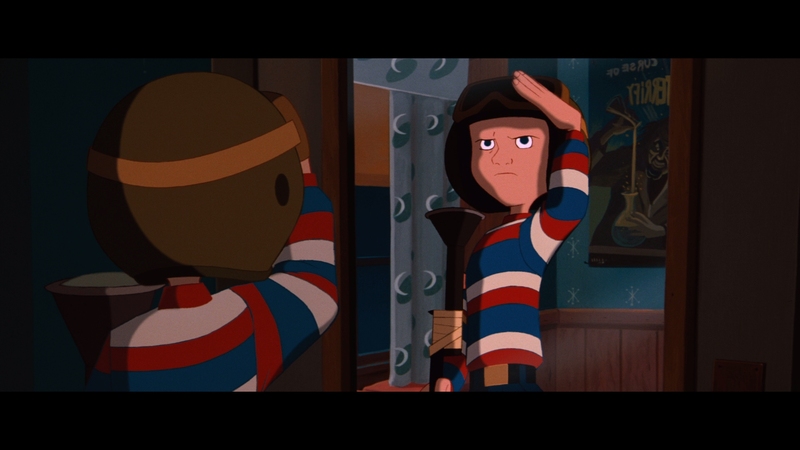 An important film, both for the sake of its touching anti-war narrative and one glimmering hope for traditional animation, but no one saw it. 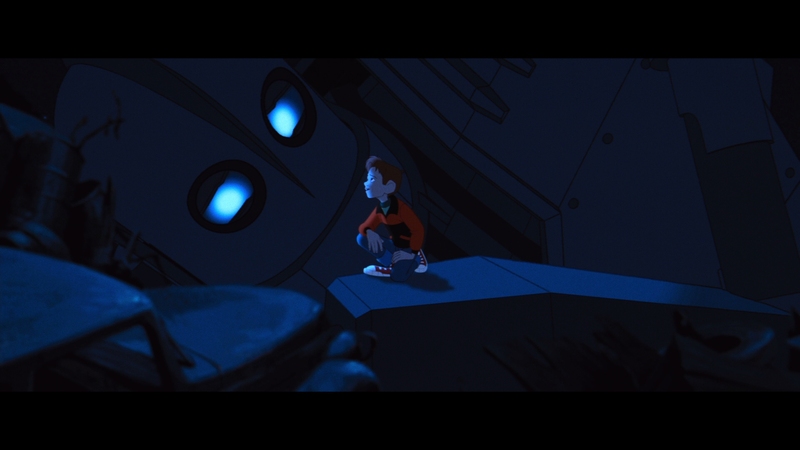 Iron Giant took years to seep into the consciousness of pop culture. Home studio Warner Bros. had their “We have something here,” realization and licensed merchandise slipped into the rotation at conventions. It’s still happening, if slowly. Blame marketing. Blame the changing landscape of animation in 1999. Blame Vin Diesel who stars as the Giant. Whatever happened, happened. 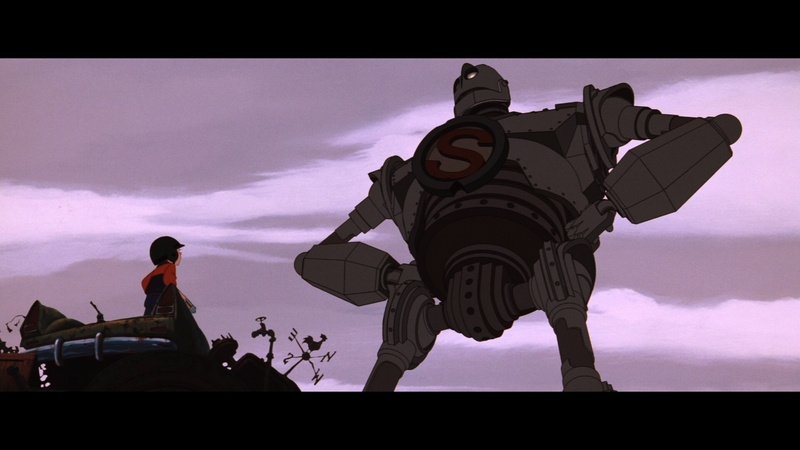 Here Iron Giant sits in 2016, still a perfectionist classic which hearkens, loves, and tributes ‘50s sci-fi with a stern contemporary overcoat. 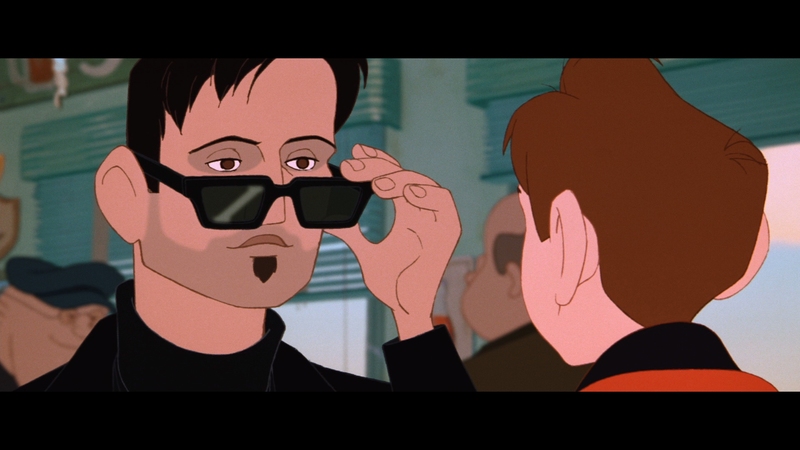 Pick it apart and Iron Giant reaches out to Day the Earth Stood Still, War of the Worlds, and in the sense of a surrogate father story, Terminator 2. Eclectic, but persistently entertaining. A film too early then, rushing into a sensible conversation about firearms mere months after Columbine exposed a most American of problems. The tale isn’t unique or odd. 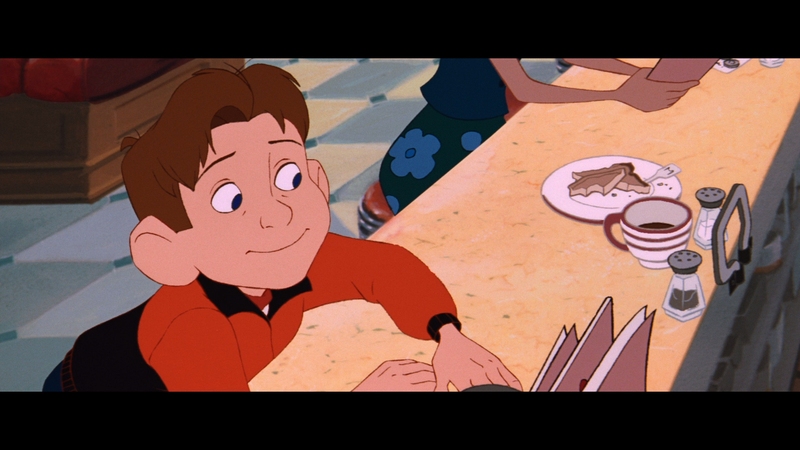 Brad Bird’s first directorial studio debut (following his wonderful screenplay for Batteries Not Included) is very much influenced and pushed by his own entertainment diet. 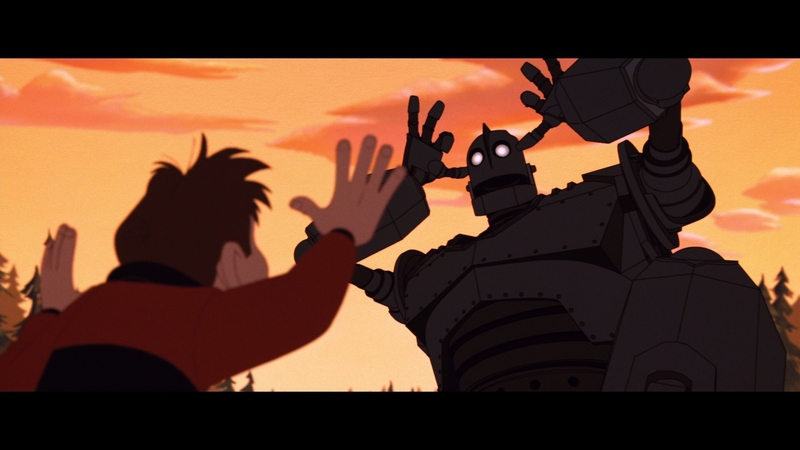 Iron Giant doesn’t lead with its admittedly predictable narrative, rather a population of fleshed out characters, their quirks, and their charms. The Giant itself conveys authentic empathy, a war machine capable of understanding. In contrast to the military, eager to gun the Giant down under orders, it takes an otherworldly presence to knock us back in our senses. For a distinctly American film in style and period, it’s voraciously anti-American in themes. 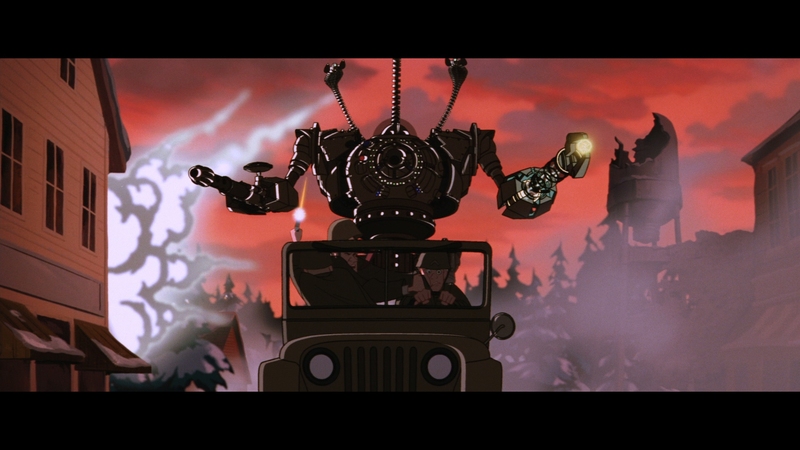 Maybe there’s the key to Iron Giant’s lackluster theatrical performance. Set in the heart of June Cleaver’s purified 1950s, there are single mothers and artistic beatniks mixing with anti-bomb, anti-war, and the coup de gras, anti-gun leanings. A film too early then, rushing into a sensible conversation about firearms mere months after the Columbine tragedy exposed a most American of problems. 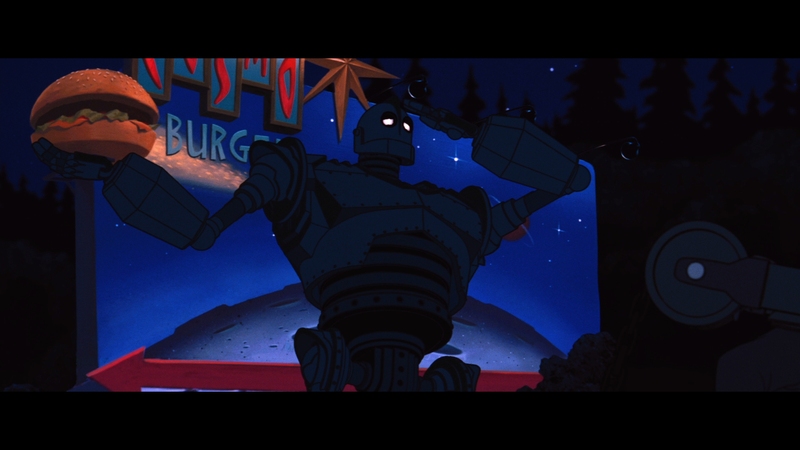 So maybe Iron Giant was too uncomfortable to watch, or worse, it was correct on the issue before anyone realized. It’s hard to overcome the cultural fear of being in the wrong, let alone paying someone to tell us so. 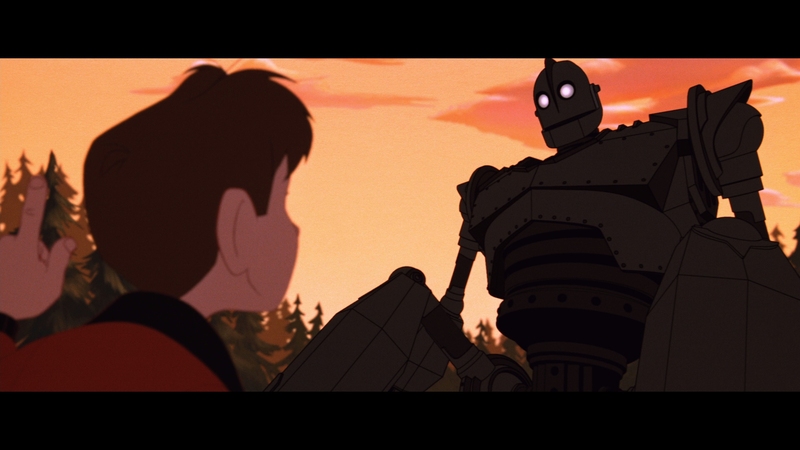 Whether a film like this left an impact – and if the regularity of mass shootings haven’t, an animated kids movie sure didn’t – Iron Giant’s beauty and feeling are lasting. The animation hasn’t aged (good) and its message stays relevant (unfortunate), coasting to critical success and gaining fan appreciation for those who gravitated toward its foresight. 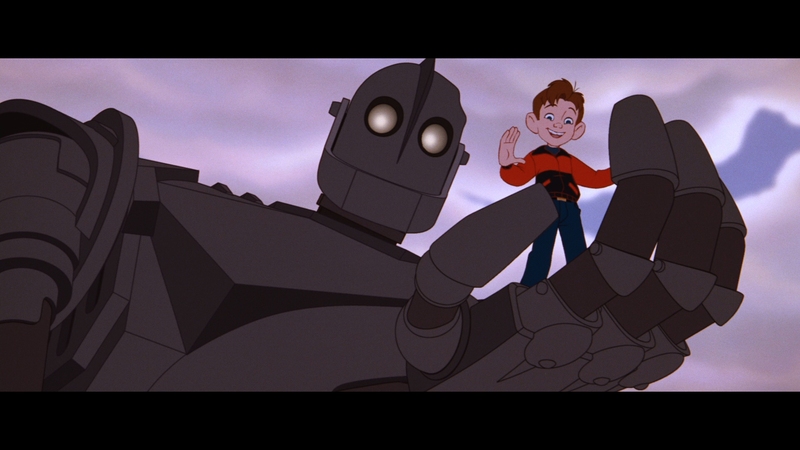 Iron Giant is a movie about a kid and his robot telling us not to shoot one another. 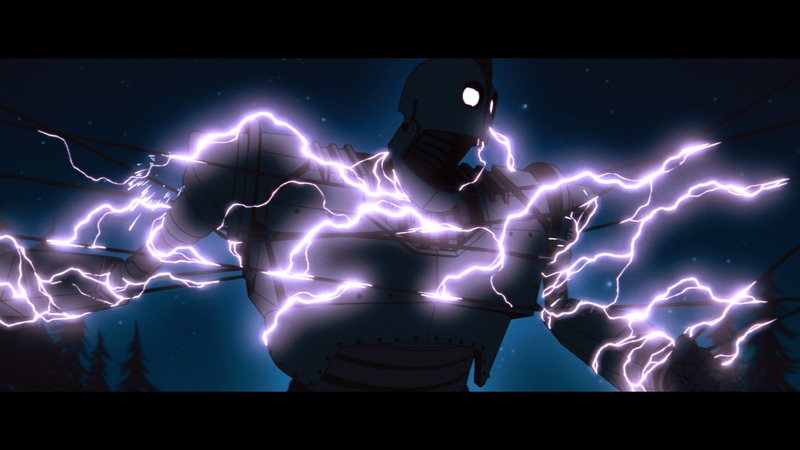 No wonder Iron Giant was a tough sell. Restored for this overdue Blu-ray release (and a short theatrical rerun), Warner presents an accurate, clean video presentation. Of particular note is preservation of the grain structure. 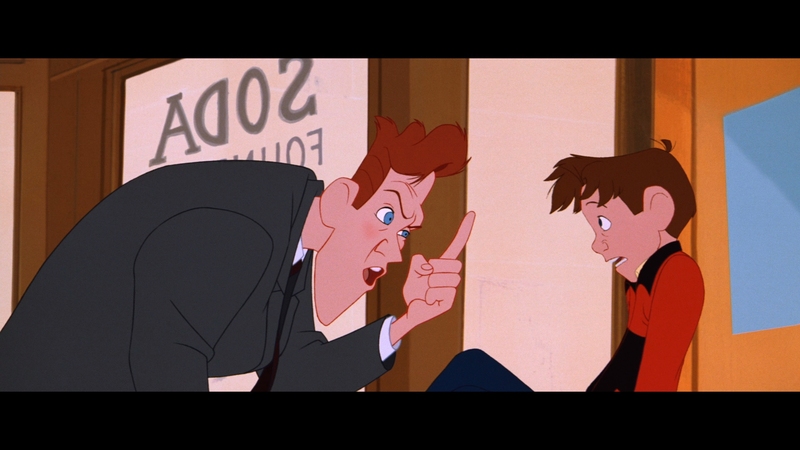 Disney typically wipes their animation clean. Warner chooses otherwise. Which is best remains wildly subjective, but know Warner’s compression beautifully replicates the film stock. Gorgeously set during prime fall season, background images (in all their hand painted wonder) push extensive color and saturation. Vivid oranges and lively browns sweep into the color palette, generously producing these appealing images. Bold primaries add variety, bright contrast aiding throughout. By the heightened finale, with all of its red skies and warning lights, the disc’s capabilities show. Animator skill then shows in the brilliant lines and sketch-like aesthetic. Visible thanks to the uptick in resolution, authentic pencil marks and hand-drawn outlines appear without bothersome compression. Same goes for the backgrounds, with brush strokes evident. 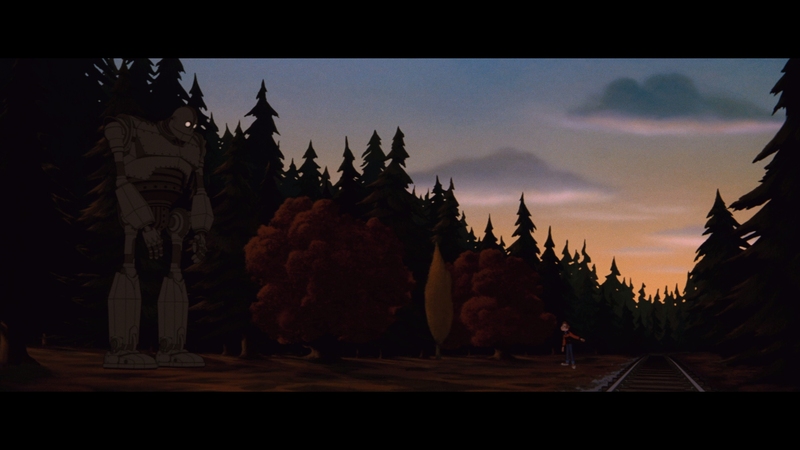 Iron Giant’s organic texture is a relief after years of CG. 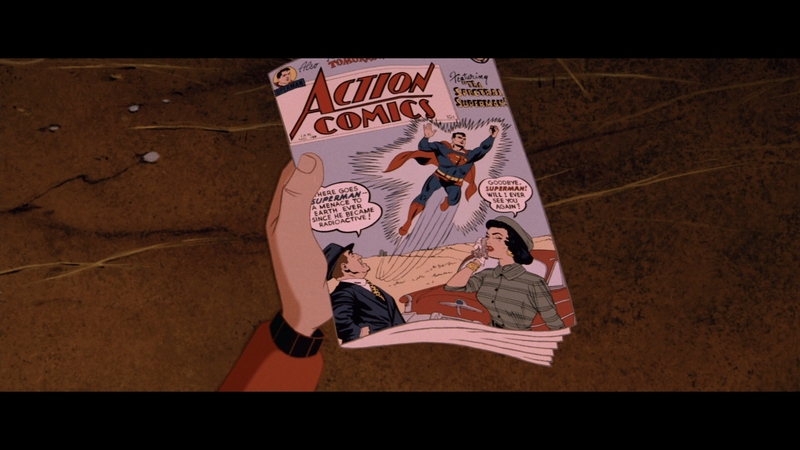 Yet, Brad Bird’s greatest film dabbles in digital. The Giant himself comes to life via computer, a high-tech character in an old tech world. Age comes without impact. Although early CG animation reveals limited realities, not so here. Giant fits in, without aliasing, without a lack of detail, and without visual decline. Not a powerhouse but certainly vivid. 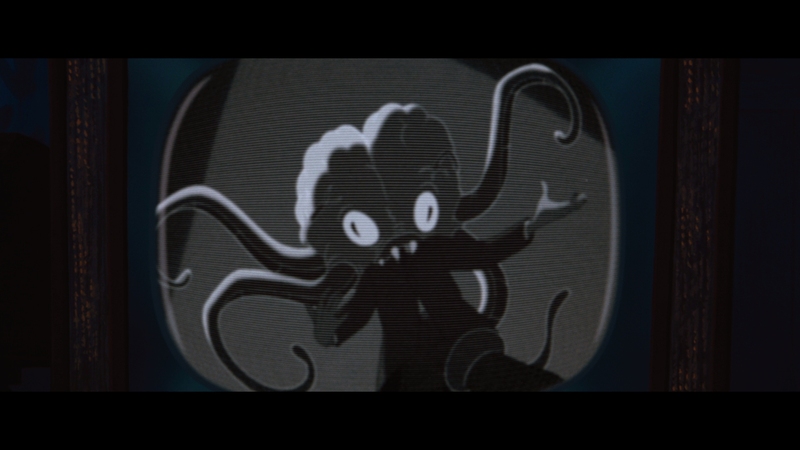 Iron Giant’s opening kick happens in space, the title character crashing on Earth in a hurricane where waves and wind spin up. A strong sense of location assists the visuals, creating a handful of story enhancing moments. Hogarth panics as the robot’s hand pokes around the kitchen, rustling heard about the front soundstage and surrounds, extending the action. Often low on action – another subversive method turning away audiences – it isn’t until the ending when things pick up. Tanks and missiles hit their metallic target, inciting a rush of satisfying bass. Sweeping effects catch planes passing by. 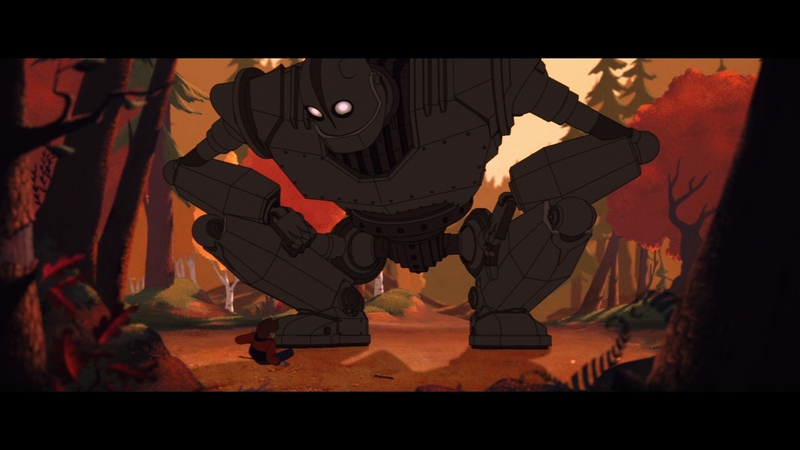 Before this, only Iron Giant’s footsteps make a comparable impact, although they’re big ones. Pull everything together from the 1999 and 2003 DVD editions. That’s all here, including a commentary track with Brad Bird and his production crew. Vin Diesel hosts a late ‘90s making of, with a few peeks behind-the-scenes to come. Thankfully it’s a complete set, then more so. 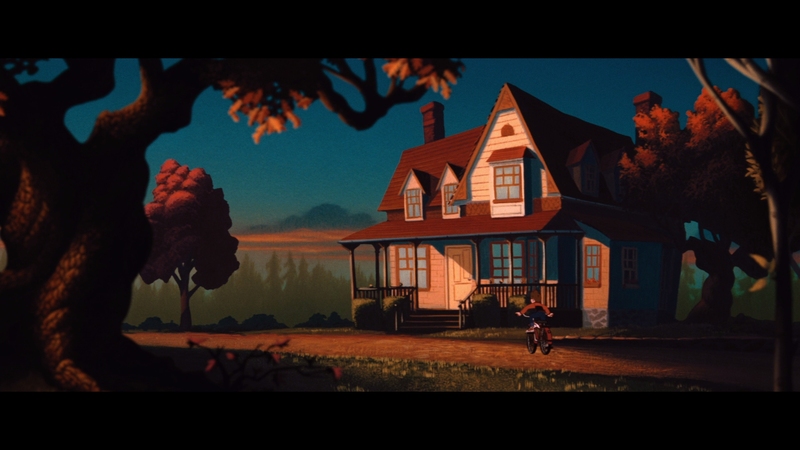 Brad Bird adds new commentary on the “Signature Edition” scenes, a version of Iron Giant featuring minor changes and two brief new scenes (including a look at the Giant’s home planet). The length between this and the theatrical cut miss each other by three minutes. If that’s appealing, The Giant’s Dream is more so. Over 55 minutes, Bird (and others) open up about the production, it’s failure, and postmortem success. Awesome visuals assist the captivating narration, including a look at Bird’s earliest animation attempts. Mark The Giant’s Dream down as one of 2016’s best. Further, a peek into the unique salt mines storage facility of Warner Bros. comes next, digging through archives to see production art from the film. It’s abrupt at seven minutes, but fascinating. 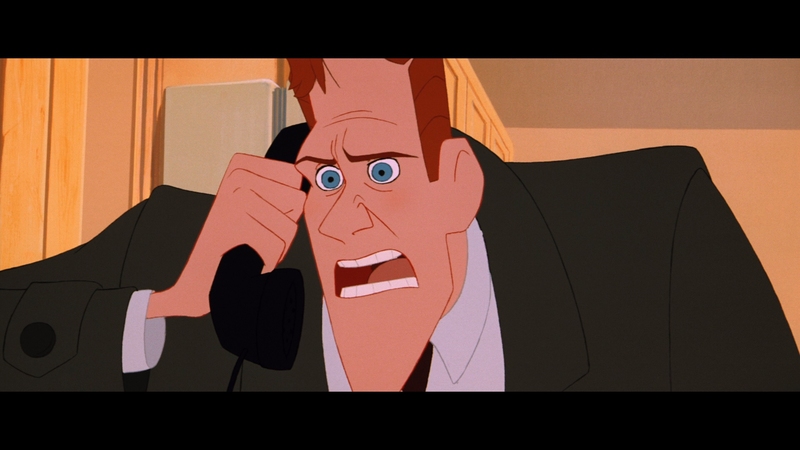 Brad Bird speaks mournfully about the loss of traditional animation in the brief Hand Drawn. It’s less than two minutes, but makes the case for this lost art. 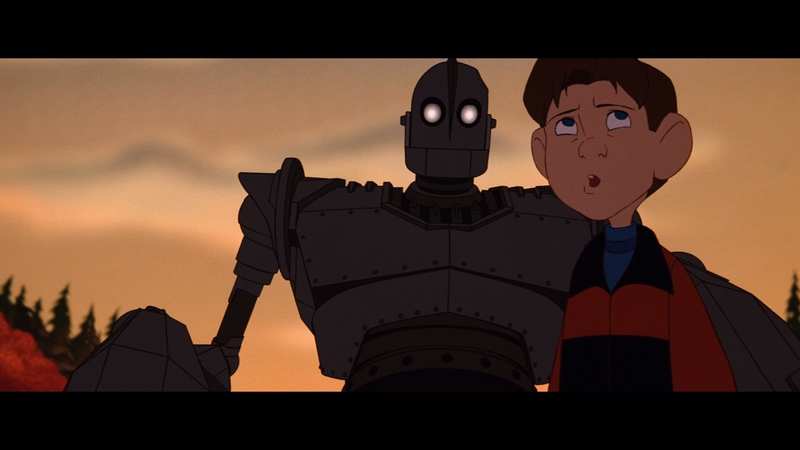 Superlative but overlooked, The Iron Giant’s legacy is thankfully a lasting one and its impact never overstated.